006 - User Profile — Hey, Dribbble! Many thanks to @JT Grauke for the invite! 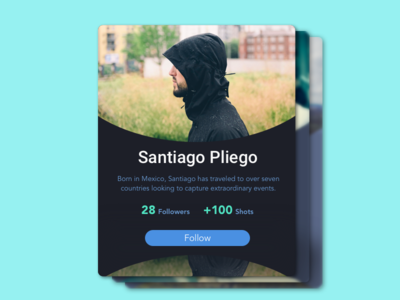 Here's a user profile, part of Daily UI's "100 UI Challenge". Since I've been struggling with typographical hierarchy, I used this prompt as a chance to really think about the size and weight of my text. How do you think this could be improved? Atomic Animation — Hey-o, Dribbble! Over the weekend I tested Atomic, a tool that seeks to bridge the gap between visual and interaction design. The animations and visual elements were inspired by Material Design, mostly because I wanted to test the tool with big, chunky elements. 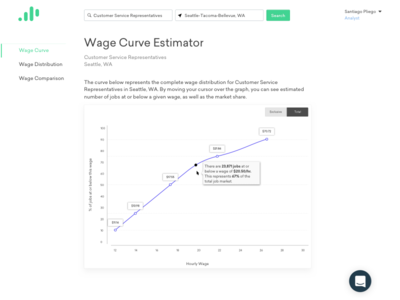 It was a fun process, so definitely check out the tool at Atomic.io or at @we-are-atomic! Student Migration — One of the challenges our clients have is hiring students who will want to stay in the area after they graduate. With that in mind, I've been working on a new report that helps them understand student migration by where Freshmen come from and where they end up working. Waze Project — Lately I've spent more time sketching on paper in order to get faster at coming up with ideas. 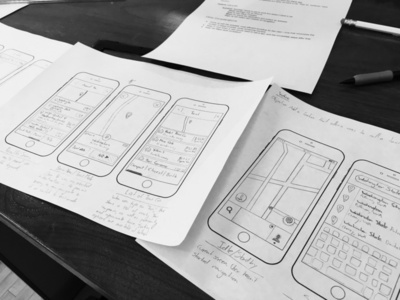 These sketches are part of a project for my UX design course at Thinkful. The objective is to add a feature to Waze that will allow users to request a taxi directly from the app.